It has been a great day for feel-good sports stories. We’ve shared this awesome moment between an NHL player and young fan. We’ve shared the story about Barry Sanders sending a signed jersey to a Lions fan who was beaten up at an Eagles game. 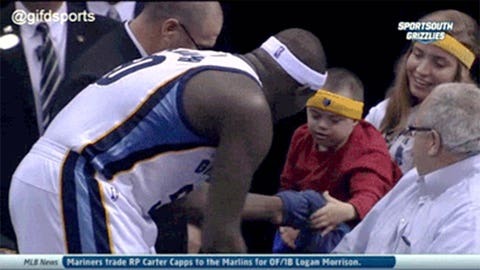 Now we share this one: Grizzlies power forward Zach Randolph giving the shirt off his back to a young boy with special needs. Let’s give it up to sports!